In the world of photography, copyrights and some of the essential licensing term has been use as a legal binding agreement between both buyer and seller. 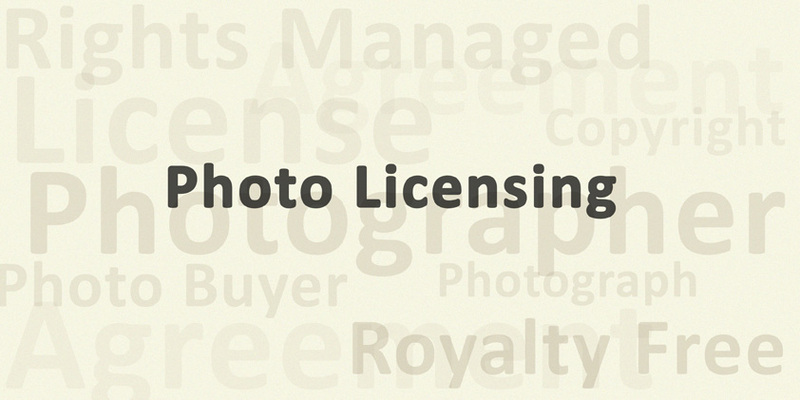 These licensing terms can be presented as Royalty Free, Flat Fee and Rights-Managed. Since the rise of internet, more and more buyer has chosen to go online to search for the desired images for licensing, download and personal use. Likewise, photographers today have taken the opportunity to make sales online. In order to protect the rights of both photographer and buyer, legal methods have been use to make sure that the licensing process is done in a right manner. When a photographer takes a photo, he actually holds the rights to that particular photo. He becomes the owner of the photograph and is legitimate to sell, license or choose to keep the photo. In the case of when a buyer is interested in his photograph, both will have to come to a common agreement when the image is being license. In royalty free licensing, it is like a contract in which you pay for the license in order to gain the right to use the photograph. After that, the photograph is yours and you have the freedom to use the photo however you like. You don’t have to pay for that photo again even if you wanted to use it again. However, you are not allowed to distribute that photo around (friend or colleague) to use. They will need to license the photo themselves. In flat fee, only one photograph is being license and it is intended for only one user, also known as “end user”. And the photo ends there. It will not be license to another person. Not even the photographer himself should sell or use that photo. In this particular type of licensing, the photo is used for a specific purpose such as editorial, magazine, advertising and so on. Buyer who chooses the photo will have to ask for permission either from the photographer or agency before using it. The buyer cannot use it elsewhere other than the specified agreement, unless he pay again to license the image for other specific usage. It is like a metaphor of renting a vehicle to use for a period of time, after that the vehicle will have to be returned to its’ owner, and can be re-rent again for another use. However, the advantage of having this licensing is that the photographer can keep his agreement to protect the photo from other competitor. Paul Chong is a landscape fine art photographer base in Shanghai, China. He is dedicated to capture the beauty of nature scenery in which he also creates colorful fine art photograph for sale in various format and sizes, featuring museum archival quality fine print. Some of his work can be seen published in various magazine, website, event brochure and flyer. Copyright © 2012, Paul Chong Photography, All rights reserved. Posted in Thought and writing on photographyTagged flat free, image copyright, legal binding agreement, legal binding law, license royalty, license stock images, photo licensing definition, photographers rights, photography business, photography term, professional photography approach, rights managed license, royalty free licenseBookmark the permalink. So, in a rights-managed license, can a photographer, license his same photograph to to different people or organization? Dear Parth, greetings and thank you for your message. In respond to your question, what I understand is that. When a buyer come to licence a photo from you (rights-managed), they are expecting it to be exclusive for the usage in their industry so that their competitor is not able to license/use the same image. Because they are paying you for the assurance that no one own that usage during the period of agreement. Once the licensing period is over, then the image will be available for other buyer. As compared to royalty-free license where the same image can be used by many different buyer at the same time. But often is a lot cheaper and they can use it on other different media as often as they like and without time limit. I hoped that the answer above is helpful to your question and feel free to let me know if you have any other question and I’ll try my best to respond. May you have a very nice day, cheers!